Proven through practice, these will maximize your Facebook Event's reach. We spend a lot of time helping clients put together wonderful events, but if no one shows up then it’s not much of an event at all! 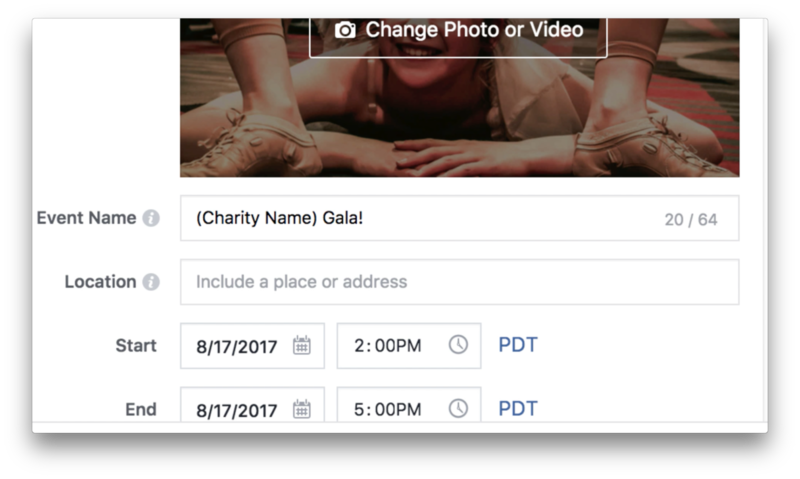 Facebook Events are a great free tool to spread the word, but many people create the event and call it a day. That won’t work. 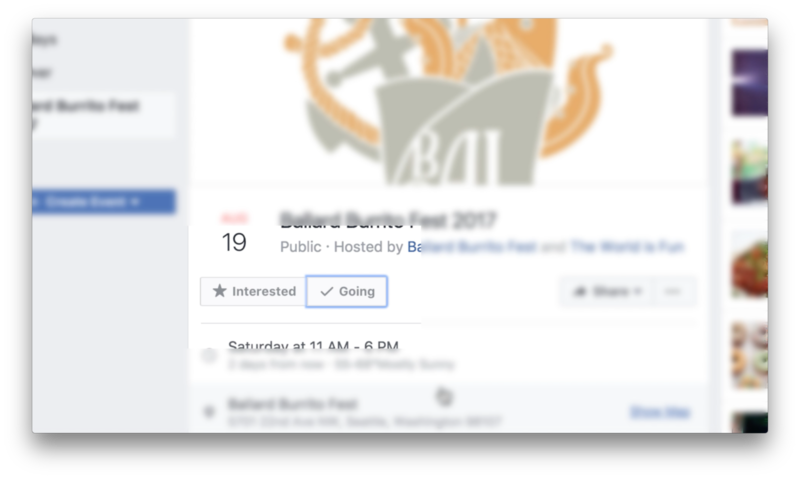 We’ve put together 10 easy tips to make sure your Facebook Event reaches as many people as possible. Your name should be accurate and attention-grabbing, but as short as possible. It will get cropped on some mobile phones, and that’s where most people will see it. Your event photo should give people an idea of what to expect, but make sure not to cover it with text. Having words on the image will reduce your Facebook reach. It also might get cropped awkwardly on some mobile devices. Sizing is easy – make it 1920 x 1080 pixels. If you’re comfortable with it, you can include your vendors and sponsors as co-hosts of the event. That allows them to help promote it. Facebook limits how many people an individual can invite to 500 people. Unfortunately, if you invite too many people and they don’t respond, Facebook will cut that number off early. Invite people that might actually attend the event, not every Facebook friend you have. Anyone that is working at the event should designate that they will be there in the Facebook Event. The event will immediately look popular when it starts showing up in news feeds. Do you know how they say, “nobody wants to be the first one to a party?” No one wants to be the first one to say they’re attending a Facebook Event. Request that your staff personally invite their Facebook friends that might enjoy it. As we mentioned above, they shouldn’t ask all their friends, just those that might be interested. We’ve heard clients say they are afraid to ask guests to share the event. Keep in mind, your guests are already excited to attend! They probably won’t mind sharing with others. A recent study showed consumers are 71% more likely to buy a product if they saw it recommended on social media, so it’s worth at least asking. Your job doesn’t end after you create the event. You’ll want to keep creating Facebook posts on your page, because the event will cease to show up in your follower’s feeds after a while. 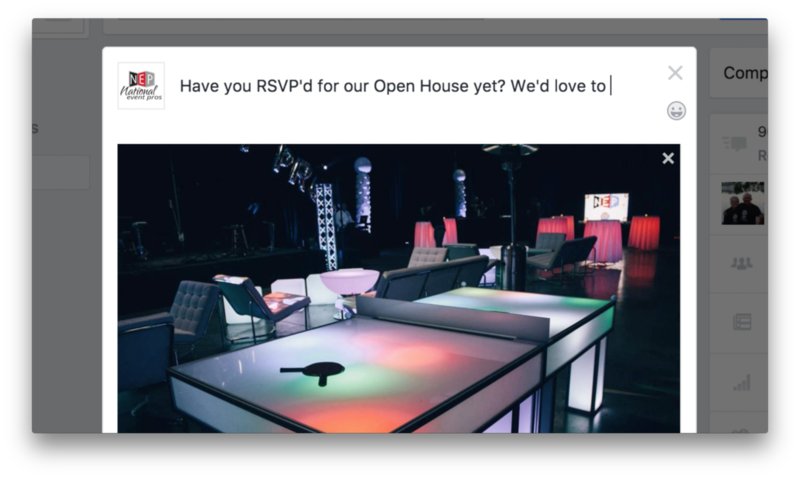 As people mark themselves as “Interested” or “Going” to your event, start posting in the event’s news feed to get attendees excited and engaged. Facebook will send them a notification when you post. Be conservative with how much you use this feature so it doesn’t annoy your attendees. Let people know about your event with email campaigns, other social media channels, posters, flyers and anywhere else you would traditionally promote it. 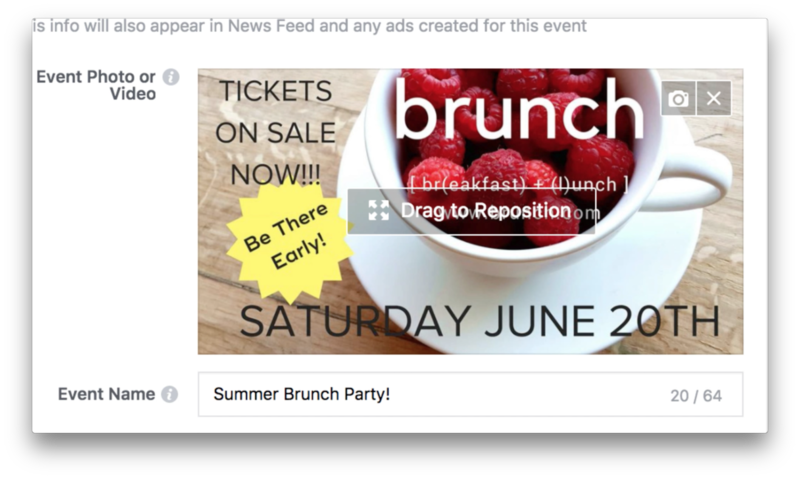 The Facebook Event will enhance your marketing, but it probably won’t replace it. Now it’s your turn. 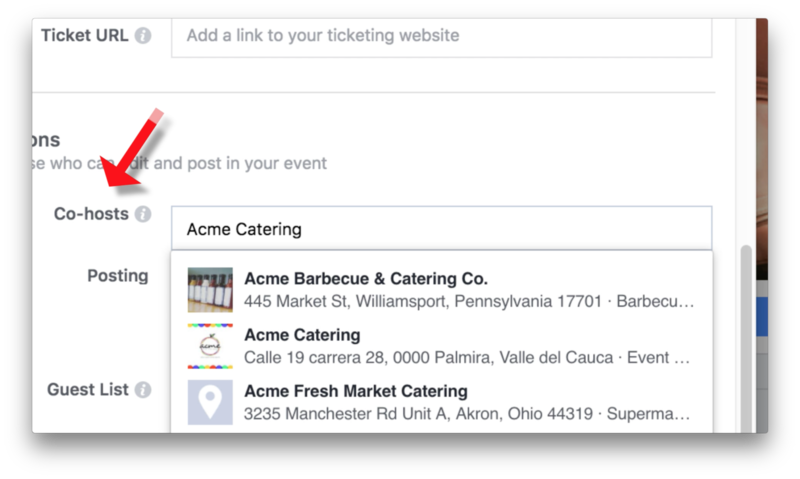 Bookmark this page so you’ll have it the next time you create a Facebook Event! Want more help with social marketing for events? Click here.